Government has finally announced that it will be retiring 2 917 Youth Officers who are still on government payroll be end of December 2018. Addressing Parliament on Wednesday Minister of Finance Mthuli Ncube said,”The 2 917 Youth Officers who still remain on the payroll, are being retired and the posts removed from the establishment, by end of December 2018. Most of the youth officers are Zanu PF militia who graduated from the late Zanu PF political commissar Boarder Gezi-initiated national youth service programme which government abandoned in 2003. These youths double as Zanu political commissars during the elections as they forcibly mobilise support for the ruling party. The opposition has, for a long time, complained about the partisan recruitment of youth officers. “Drawing from the above Cabinet Resolutions and guidance of the Public Service Commission, Treasury proceeded to mobilise in the first instance, US$5.2 million in December 2017 towards three months Cash In-Lieu of Retirement Notices and in the second instance, US$17.7 million on 16 February 2018 towards the officers Pension benefits.” Ncube further explained. 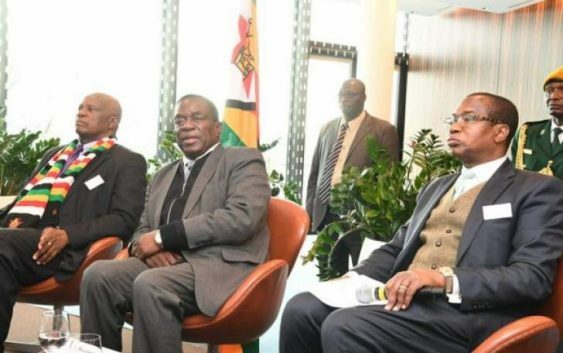 Earlier this year Mnangagwa’s government made a U-turn and re-engaged Zanu PF’s dreaded national youth service graduates, derisively called known as Green Bombers to their positions as youth officers, after they were relieved of their duties in a slew of cost-cutting measures. In the 2018 budget, the then Finance minister Patrick Chinamasa announced that the youth officers would be relieved of their duties and this would see the government saving $19,3 million. SHOCKING: KADOMA MACHETE VIOLENCE , over 100 injured,14 dead, welcome to Zimbabwe!